David Ghantt is an uncomplicated man stuck in a monotonous life. Day in and day out he drives an armored vehicle, transporting millions of other people’s money with no escape in sight. The only glimmer of excitement is his flirtatious work crush Kelly Campbell who soon lures him into the scheme of a lifetime. 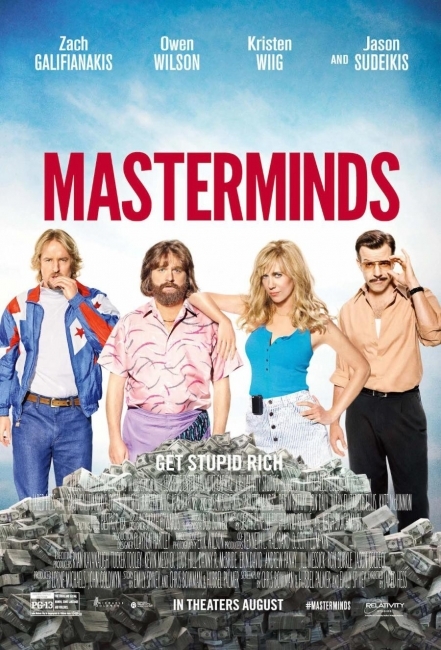 Along with a group of half-brained criminals led by Steve Chambers and an absurdly faulted heist plan, David manages the impossible and makes off with $17 million in cash…only problem is he foolishly hands the money over to this wild group of double crossers and has been set up to take the fall. With the bandits blowing the millions on lavish and ridiculous luxuries, they leave behind a glaring trail of evidence. Now on the lam and in over his head, David must dodge the authorities, evade a hilarious hit man, Mike McKinney, and try to turn the tables on the ones he trusted most.